On June 24, 2018 Houston celebrated its very own Slab Holiday. Presented by Texan Wire Wheels, Red Line Keith, and Serious Whipz, the Houston Slab Holiday Car Show and concert at 8th Wonder Brewery was an event to remember. A big thank you to the City of Houston, local artists, and participates for sharing their works of art with us. Attendees enjoyed a car show, beat contest, and performances by local artists such as Paul Wall, Slim Thug, J-Dawg, Doughbeezy, GT Garza, Dat Boit T, and more. People from around the U.S. and from all walks of life got a chance to see slab cars up close at the biggest event of the year. Slabs are older modeled American luxury sedans customized with distinctive features such as Texan Wire Wheels 30 Spoke Elbow® Wire Wheels and translucent candy paint. Beginning in the 1980s, slab culture sprouted from the vibrant heritage of Houston’s African American community, especially Houston’s beginning hip hop/rap scene. 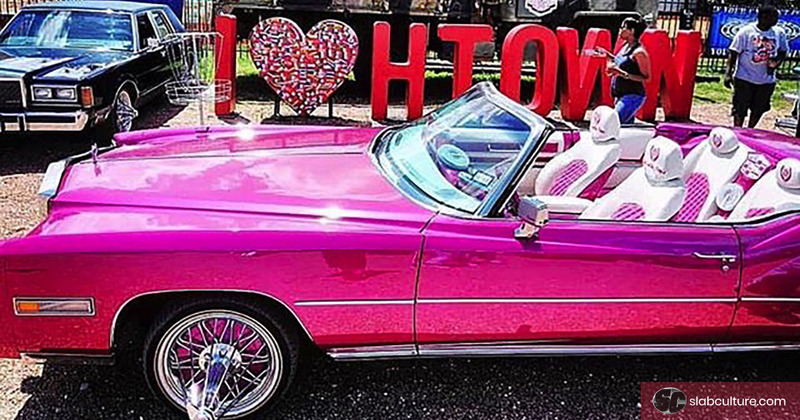 The aesthetic of slabs has become an iconic art form that is unique to Houston and slab culture influenced Houston’s music scene and several artists including Beyonce, Paul Wall, Bun B, UGK, Z-Ro, Mike Jones, and Slim Thug. Slab Holiday was created to celebrate artistic vision and local pride and develop a nurturing environment for community involvement, where individuals and families can receive health screenings, legal and financial assistance, and more. The City of Houston commended the organizers of Slab Holiday for their commitment to community involvement and memorable and continuous impact on Houston’s unique culture and extends best wishes on a memorable event. 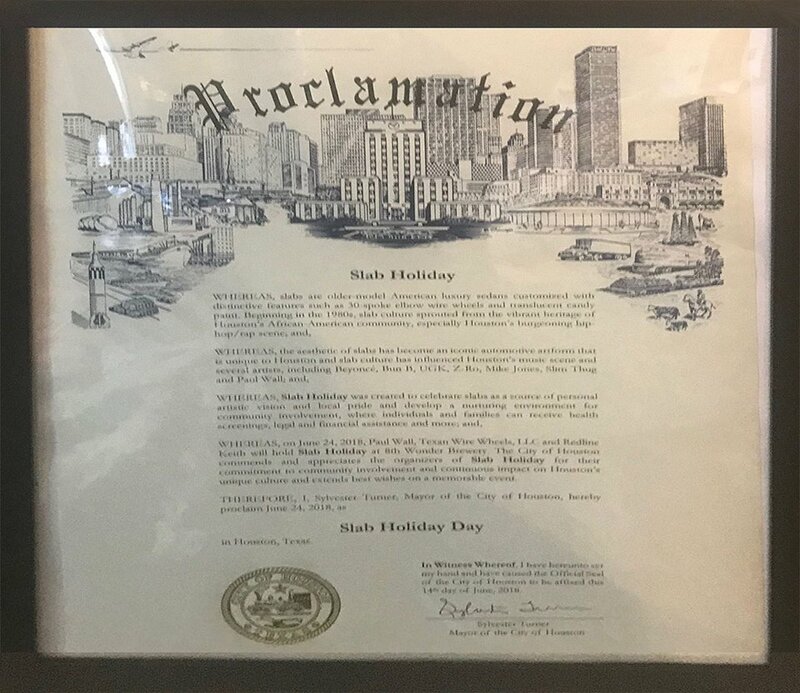 Sylvester Turner, Mayor of the City of Houston, proclaimed June 24, 2018 as Slab Holiday Day in Houston, Texas.